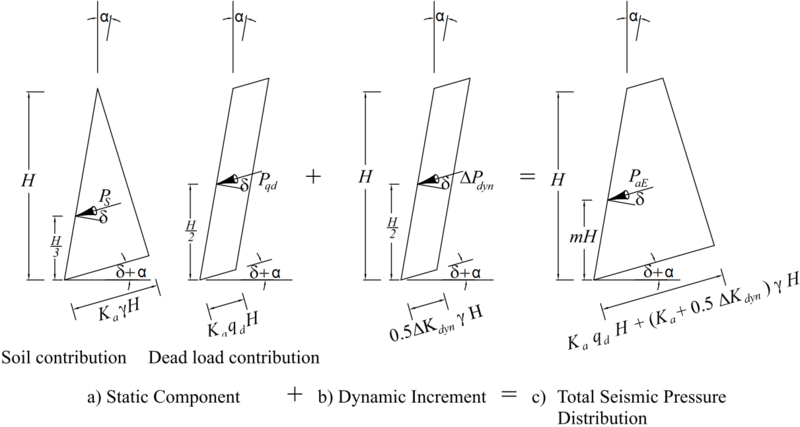 The calculation of dynamic forces is adpoted from the NCMA Design Manual for Segmental Retaining Walls 3rd Edition. It is based on Mononobe-Okabe theory, but dynamic effect of active earth pressure acting on the wall is redistributed uniformly along the height of wall (reinforced soil body). The next difference in this method is reduction of length of reinforced soil by half. The horizontal seismic force is then calculated from this reduced length.